Did you know that there is a proper way of brushing your teeth and storing your toothbrush? After brushing, toothbrushes often become contaminated with oral microbial organisms each time they’re placed in the mouth. Toothbrushes also are not required to be packaged in sterile wrapping, so its possible for a toothbrush to have bacteria right out of box, according to members of the American Dental Association. Many oral health professionals recommend changing a toothbrush after getting over an illness, due to the viruses and bacteria that can still live in a person’s mouth following the illness. Below are some useful tips on how to properly clean, store, and get rid of your used toothbrush. When finding ways to properly store your toothbrush avoid placing a wet brush back into a medicine cabinet, drawer, or bathroom cup. The proper way of storing your toothbrush is to place it upright in a rack or cup, where it can thoroughly dry out. Avoid placing it in a cover that doesn’t have air holes, as lack of air can generate bacteria. 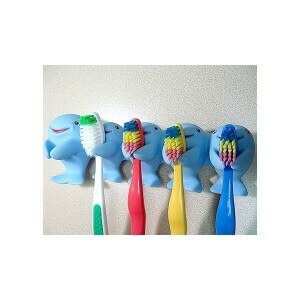 Toothbrushes should be thrown out every 3-4 months, or when they’re showing signs of being worn out. Spread out bristles will not clean the teeth and gums thoroughly. Toothbrushes should also be thrown out after getting over an illness. Properly care for your teeth and smile. Call Tribeca Smiles today to schedule your next dental cleaning and exam. Because a smile goes a long way. This entry was posted in Tribeca Smiles Dental Blog and tagged cleaning your toothbrush, dental facts, dental tips, storing your toothbrush, The Proper Way to Clean And Store Your Toothbrush, throwing away toothbrush on January 20, 2015 by tribecasmiles.